Top-level experts, creative minds from many countries and a number of students from local and international universities took part in the third edition of the Falak Unreasonable Thinking Summit held in Bahrain. 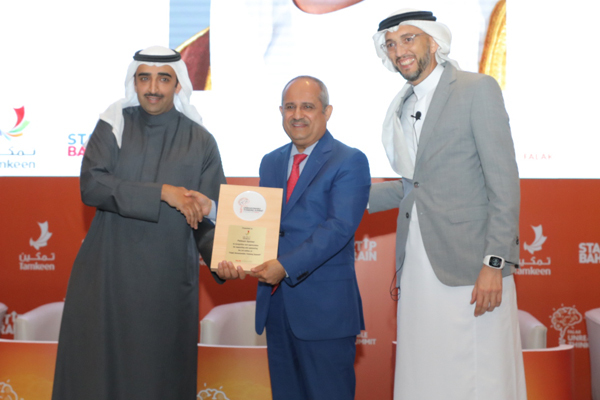 Shaikh Mohammed bin Khalifa Al Khalifa, Bahrain’s Minister of Oil, inaugurated the tw-day summit on yesterday (March 3), at the Art Rotana Amwaj Hotel. The event is organised by Falak Consulting in cooperation with the National Oil and Gas Authority (Noga) and Tamkeen and supported by a number of national and international companies. The summit, held in collaboration with EDB (Startup Bahrain), GPIC, Peninsula Farms, Kuwait Finance House, Khaleeji Commercial Bank, Banagas and Bapco, is in line with Falak’s aim of building stronger economies and happier societies by unlocking business and human potential. Shaikh Mohammed highly appreciated the efforts of the Falak Consulting in attracting many creative minds from different countries to present various models of development experiences in diverse fields. He praised the aim of the conference, which seeks to build stronger economies through the exchange of information, experiences and practices and to transform this information and ideas into successful investment opportunities in Bahrain. The Minister said that the world today is the world of modern digital technologies, which are rapidly evolving. The minister added that the innovation is a driving force for global economic growth and it is important to attract and develop creative and innovative human resources capable of applying modern technology to reach innovative solutions in eliminating the many problems faced by different industries. This includes the oil sector, which is one of the most important sectors in the world, he said. The minister pointed out that Noga is always striving to strengthen its current and future oil projects by training its employees and empowering them in leadership positions through which they can take the appropriate decisions in developing the oil sector. Expressing his appreciation to Shaikh Mohamed for patronising this summit and believing in the importance of such unconventional events, Falak Consulting founder and CEO Suhail Algosaibi said: “We are honoured and excited to host the 3rd ‘Falak Unreasonable Thinking Summit’. Our main aim is to educate and inspire startups, students and the business community, by exposing them to new, radical and unconventional methods of thinking and providing them the necessary tools and information to help them innovate in their businesses, and excel in their respective sectors. “Over the past decades, the world had witnessed the creation of giant companies and the failure of others. Falak Consulting recognises the need to communicate with local and international strategic partners to host the best innovative minds in the world here in Bahrain to share their creative ideas and their unique experience with innovation seekers. The summit saw great response from participants who came to engage with renowned local and international speakers on the topics of innovation, creativity, and unconventional thinking. The first day’s agenda included papers, presentations and inspirational speeches by John Sanei, author and strategist - South Africa; Dr. Shashi Tharoor, politician – India; Dr Samer Aljishi, president of BFG International – Bahrain; Victor Ochen, Nobel Peace Prize nominee – Uganda; and Cem Tarek, managing director, Unilever Middle East – UAE; and a panel discussion which covered various topics including the differences on how social challenges are covered in various regions of the world. The second day saw papers, presentations and inspirational speeches by Kazuhide Sekiyama, founder of Spiber Inc – Japan, and Lucia Valencia Dongo, social entrepreneur – Peru.